Buddhism – the Rebel child of Hinduism. Buddhism is a religion based on the teachings of Siddhartha Gautama, He came to be called “the Buddha,” which means “awakened one,” after he experienced a profound realization of the nature of life, death and existence. Buddha (c. 500s B.C.E.) also known as Gotama Buddha, Siddhārtha Gautama, and Buddha Śākyamuni, was born in Lumbini, in the Nepalese region of Terai, near the Indian border The Buddha’s teaching formed the foundation for Buddhist philosophy, initially developed in South Asia, then later in the rest of Asia. Instead of teaching doctrines to be memorized and believed, the Buddha taught how we can realize truth for ourselves. The focus of Buddhism is on practice rather than belief. The major outline of Buddhist practice is the Eightfold Path. The Buddha discouraged his followers from indulging in intellectual disputation for its own sake, which is fruitless, and distracting from true awakening. Nevertheless, the delivered sayings of the Buddha contain a philosophical component, in its teachings on the working of the mind, and its criticisms of the philosophies of his contemporaries. According to the scriptures, during his lifetime the Buddha remained silent when asked several metaphysical questions. These regarded issues such as whether the universe is eternal or non-eternal (or whether it is finite or infinite), the unity or separation of the body and the self, the complete inexistence of a person after Nirvana and death, and others. Buddhism and Buddhist philosophy now have a global following. While the Buddha’s view of the spiritual path is traditionally described as a middle way between the extremes of self-indulgence and self-mortification, the Buddha’s epistemology can be interpreted as a middle way between the extremes of dogmatism and skepticism. meditative absorptions or abstractions (jhāna), and higher or direct knowledge (abhiññā). EIGHT JHĀNAS – In the Pāli canon the Buddha describes eight progressive states of absorption meditation or jhāna. Four are considered to be meditations of form (rūpa jhāna) and four are formless meditations (arūpa jhāna). The first four jhānas are said by the Buddha to be conducive to a pleasant abiding and freedom from suffering. The jhānasare states of meditation where the mind is free from the five hindrances — craving, aversion, sloth, agitation and doubt — and (from the second jhāna onwards) incapable of discursive thinking. The deeper jhānas can last for many hours. Jhāna empowers a meditator’s mind, making it able to penetrate into the deepest truths of existence. the first one refers to a variety of supernatural powers including levitation and walking on water; in this sense, it is better understood as a know-how type of knowledge. The second higher knowledge is literally called “divine ear element” or clairaudience. The third higher knowledge is usually translated as telepathy, though it means simply the ability to know the underlying mental state of others, not the reading of their minds and thoughts. 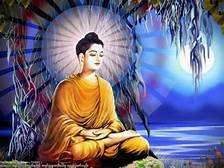 The next three types of higher knowledge are especially important because they were experienced by the Buddha the night of his enlightenment, and because they are the Buddhist counterparts to the triple knowledge of the Vedas. The fourth higher knowledge is retrocognition or knowledge of past lives, which entails a direct experience of the process of rebirth. The fifth is the divine eye or clairvoyance; that is, direct experience of the process of karma, or as the texts put it, the passing away and reappearing of beings in accordance with their past actions. The sixth is knowledge of the destruction of taints, which implies experiential knowledge of the four noble truths and the process of liberation. This, monks, is the noble truth that is pain. Birth is pain, old age is pain, illness is pain, death is pain, sorrow and grief, physical and mental suffering, and disturbance are pain. Association with things not liked is pain, separation from desired things is pain, not getting what one wants is pain; in short, the five aggregates of grasping are pain. This is the most expansive description of the first truth of the noble ones: the truth that is pain is birth, old age, illness, death, and so on. An important distinction should be made here: the first truth is not pain in and of itself, but rather the pain that is associated with all of the following conditions: birth is pain, death is pain, not getting what we want is pain, and so on. All of these conditions are characteristic of human life, and thus the first truth is often understood to mean that Buddhism claims that human life is associated with pain, or to use a term from the Abrahamic religions, human life is suffering. “The one who acts is the one who experiences [the result of the act]” amounts to the eternalist statement, “Existing from the very beginning, stress is self-made.” “The one who acts is someone other than the one who experiences” amounts to the annihilationist statement, “For one existing harassed by feeling, stress is other-made.” Avoiding these two extremes, the Tathagata teaches the dhamma via the middle. To be born into this world means to suffer. That’s Buddha’s first Noble Truth. This is because human life isn’t perfect and neither are our surroundings. Our life in this world is subject to suffering and physical pain due to sickness, old age, disease, injury and death. We undergo mental suffering and pain due to sadness, disappointment, poverty, lust, love, fear, frustration, greed, injustice and depression. The origin of suffering is attachment to impermanence that’s perceived to bring us happiness. This is the second Noble Truth. The transient illusions(wealth, lust, power, beauty) condition our mindset into believing their permanence, thus preventing our mind from overcoming ignorance. We suffer because of our desire, passion, greed, pursue of wealth and status, by striving for fame and acceptance, or in other words – due to craving and attachment. The third truth is nirodho, or ending. It is explained in the Sutta on the Turning of the Dhamma Wheel: “This, monks is the noble truth that is the ending of pain. This is the complete fading away and ending of that very craving, giving it up, renouncing it, releasing it, and letting go.” This is a natural movement in the sequence of the truths thus far: the first is to recognize the truth “this is pain” or “this is suffering.” The second step is to know why “this is pain.” The three types of thirst or craving lead to things that cause us pain in this life. We stop that pain, we stop that hurting or suffering by stopping craving or thirst: “the complete fading away and ending of that very craving, giving it up, renouncing it, releasing it, and letting it go.” This truth is just a simple fact: to end things that cause us pain, we need to end their arising. The Buddha explicitly stated that attaining dispassion will eliminate suffering. Nirodha eliminates all forms of craving and attachment thus setting us off on our long journey towards ultimate salvation from suffering. The meaning of Nirodha is elimination of sensual craving and worldly attachment. This, monks, is the noble truth that is the way leading to the ending of pain. This is the eightfold path of the noble ones: right view, right intention, right speech, right action, right livelihood, right effort, right mindfulness, and right concentration. The fourth truth, again, follows logically after the first three: pain, arising, ending, and the way—or the how. The eightfold path is always found as the explanation of the fourth truth, and is often taken as the buddha’s teaching of “the” path to enlightenment. The Noble Eightfold Path ( Ariya Ashtanga Marga ) explains the gradual path of self-improvement towards the cessation of rebirth and its resultant suffering. Lord Buddha described the Eightfold Path as the Middle Path as it avoids extremes of self-indulgence (such as hedonism) and excessive self-mortification (asceticism). This is the Path which leads to the end of Samsara, the cycle of rebirth. The way of practice leading to the cessation of suffering – precisely is through Noble Eightfold Path – right view, right intention, right speech, right action, right livelihood, right effort, right mindfulness, right concentration. The purpose of living an ethical life is to escape the suffering inherent in samsara. Skillful actions condition the mind in a positive way and lead to future happiness, while the opposite is true for unskillful actions. Ethical discipline also provides the mental stability and freedom to embark upon mental cultivation via meditation. The part of the Noble Eightfold path that covers morality/ethics is right speech, right action and right livelihood. The other parts cover concentration and wisdom, with wisdom being covered by right view and right intention and the remaining three belonging to concentration. The three aggregates are not included under the noble eightfold path, friend Visakha, but the noble eightfold path is included under the three aggregates. Right speech, right action, & right livelihood come under the aggregate of virtue. Right effort, right mindfulness, & right concentration come under the aggregate of concentration. Right view & right resolve come under the aggregate of discernment. 7. Samma-Sati — Complete or Thorough Awareness. Also called “right mindfulness”. Developing awareness, “if you hold yourself dear watch yourself well”. Levels of Awareness and mindfulness – of things, oneself, feelings, thought, people and Reality. The word Samma means ‘proper’, ‘whole’, ‘thorough’, ‘integral’, ‘complete’, and ‘perfect’ – related to English ‘summit’ – It does not necessarily mean ‘right’, as opposed to ‘wrong’. The main early Buddhist philosophical schools are the Abhidharma schools, particularly Sarvāstivāda and Theravāda. Early Buddhist philosophers and exegetes of the Sarvāstivādins created a pluralist metaphysical and phenomenological system, in which all experiences of people, things and events can be broken down into smaller and smaller perceptual or perceptual-ontological units called “dharmas”. Do not accept anything by mere tradition … Do not accept anything just because it accords with your scriptures … Do not accept anything merely because it agrees with your pre-conceived notions … But when you know for yourselves—these things are moral, these things are blameless, these things are praised by the wise, these things, when performed and undertaken, conduce to well-being and happiness—then do you live acting accordingly. Theravada accepts only the Pali Tipitika as scripture. There are a large number of other sutras that are venerated by Mahayana that Theravada does not accept as legitimate. Buddhism is divided into two sects: Mahayana and Hinayana. Mahayana literature is written in Sanskrit and Hinayana literature is written in Pali. Mahayana often adopts a pragmatic concept of truth: doctrines are regarded as conditionally “true” in the sense of being spiritually beneficial. In modern Chinese Buddhism, all doctrinal traditions are regarded as equally valid. Main Mahayana philosophical schools and traditions include the prajnaparamita, Madhyamaka, Tathagatagarbha, Yogācāra, schools. The Prajanaparamita-sutras emphasize the emptiness of the five skandhas. The Mahāyānist Nāgārjuna, asserted a direct connection between, even identity of, dependent origination, selflessness (anatta), and emptiness (śūnyatā). He pointed out that implicit in the early Buddhist concept of dependent origination is the lack of any substantial being (anatta) underlying the participants in origination, so that they have no independent existence, a state identified as emptiness (śūnyatā), or emptiness of a nature or essence (svabhāva). The tathāgathagarbha sutras, in a departure from mainstream Buddhist language, insist that the potential for awakening is inherent to every sentient being. They marked a shift from a largely apophatic (negative) philosophical trend within Buddhism to a decidedly more cataphatic (positive) modu. The Yogacara-school tries to explain the arising of suffering by explaining the workings of our mind. It takes the concepts of the five skandhas and the six consciousnesses, to explain howmanas creates vijnapti, concepts to which we cling. The schools of Buddhism that had existed in China prior to the emergence of the Tiantai are generally believed to represent direct transplantations from India, with little modification to their basic doctrines and methods. However, Tiantai grew and flourished as a natively Chinese Buddhist school under the 4th patriarch, Zhiyi, who developed a hierarchy Buddhist sutras that asserted the Lotus Sutra as the supreme teaching, as well as a system of meditation and practices around it. The Huayan developed the doctrine of “interpenetration” or “coalescence” (Wylie: zung-’jug; Sanskrit: yuganaddha), based on the Avataṃsaka Sūtra, a Mahāyāna scripture. It holds that all phenomena (Sanskrit: dharmas) are intimately connected (and mutually arising The doctrine of interpenetration influenced the Japanese monk Kūkai, who founded the Shingon school of Buddhism. Interpenetration and essence-function are mutually informing in the East Asian Buddhist traditions, especially the Korean Buddhist tradition. Zongmi (Tsung-mi), 宗密, who is simultaneous a Patriarch of the Chan tradition. The Tibetan tantra entitled the “All-Creating King” (Kunjed Gyalpo Tantra) also emphasizes how Buddhist realization lies beyond the range of discursive/verbal thought and is ultimately mysterious. The Tibetan expression of Buddhism (sometimes called Lamaism) is the form of Vajrayana Buddhism that developed in Tibet and the surrounding Himalayan region beginning in the 7th century CE. Tibetan Buddhism incorporates Madhyamika and Yogacara philosophy, Tantric symbolic rituals, Theravadin monastic discipline and the shamanistic features of the local Tibetan religion Bön. Among its most unique characteristics are its system of reincarnating lamas and the vast number of deities in its pantheon. The most famous Tibetan Buddhist text is the Bardo Thodol (“liberation through hearing in the intermediate state”), popularly known as the Tibetan Book of the Dead. The Bardo Thodol is a funerary text that describes the experiences of the soul during the interval between death and rebirth called bardo. It is recited by lamas over a dying or recently deceased person, or sometimes over an effigy of the deceased. It has been suggested that it is a sign of the influence of shamanism on Tibetan Buddhism.